An Introduction to Statistical Learning provides an accessible overview of the field of statistical learning, an essential toolset for making sense of the vast and complex data sets that have emerged in fields ranging from biology to finance to marketing to astrophysics in the past twenty years. This book presents some of the most important modeling and prediction techniques, along with relevant applications. Topics include linear regression, classification, resampling methods, shrinkage approaches, tree-based methods, support vector machines, clustering, and more. Color graphics and real-world examples are used to illustrate the methods presented. Since the goal of this textbook is to facilitate the use of these statistical learning techniques by practitioners in science, industry, and other fields, each chapter contains a tutorial on implementing the analyses and methods presented in R, an extremely popular open source statistical software platform. Two of the authors co-wrote The Elements of Statistical Learning (Hastie, Tibshirani and Friedman, 2nd edition 2009), a popular reference book for statistics and machine learning researchers. An Introduction to Statistical Learning covers many of the same topics, but at a level accessible to a much broader audience. This book is targeted at statisticians and non-statisticians alike who wish to use cutting-edge statistical learning techniques to analyze their data. The text assumes only a previous course in linear regression and no knowledge of matrix algebra. Get up to speed on Apache Accumulo, the flexible, high-performance key/value store created by the National Security Agency (NSA) and based on Googleâs BigTable data storage system. Written by former NSA team members, this comprehensive tutorial and reference covers Accumulo architecture, application development, table design, and cell-level security. Skill Development for Generalist Practice by Christina E. Newhill, Elizabeth A. Mulvaney, and Bobby F. Simmons offers an array of competency-building exercises addressing foundational social work knowledge as well as skills and values across micro, mezzo, and macro levels of practice. Designed to be actively used during class time, exercises embrace the diverse range of clients encountered by social workers in various practice settings and reflect a commitment to serving those who are the most vulnerable, at risk, disadvantaged, and marginalized from society. 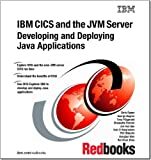 This IBMÂ® RedbooksÂ® publication provides information about the new Java virtual machine (JVM) server technology in IBM CICSÂ® Transaction Server for z/OSÂ® V4.2. We begin by outlining the many advantages of its multi-threaded operation over the pooled JVM function of earlier releases. The Open Services Gateway initiative (OSGi) is described and we highlight the benefits OSGi brings to both development and deployment. Details are then provided about how to configure and use the new JVM server environment. Examples are included of the deployment process, which takes a Java application from the workstation Eclipse integrated development environment (IDE) with the IBM CICS ExplorerÂ® software development kit (SDK) plug-in, through the various stages up to execution in a stand-alone CICS region and an IBM CICSPlexÂ® environment. Further chapters are provided to demonstrate interaction with structured data such as copybooks, and how to access relational databases by using Java Database Connectivity (JDBC) and Structured Query Language for Java (SQLJ). Finally, we devote a chapter to the migration of applications from the pooled JVM model to the new JVM server run time. Microservice technologies are moving quickly. Author Sam Newman provides you with a firm grounding in the concepts while diving into current solutions for modeling, integrating, testing, deploying, and monitoring your own autonomous services. Youâll follow a fictional company throughout the book to learn how building a microservice architecture affects a single domain. Mannino provides with a foundation to understand database technology supporting enterprise computing needs. The text is ideal for new students of database management, who need to understand the fundamental concepts of database management and the relational data model, followed by a mastery of skills in database design and database application development. This textbook provides tools to help students understand relational databases and acquire skills to solve basic and advanced problems in query formulation, data modeling, normalization, application data requirements, and customization of database applications. Enterprise-Class Excel Programming, from Start to FinishFinally, there's a book that treats Excel as the powerful development platform it really is, and covers every facet of developing commercial-quality Excel applications. This is not a book for beginners. Writing for professional developers and true Excel experts, the authors share insider's knowledge they've acquired building Excel applications for many of the world's largest companies--including Microsoft. Professional Excel Development demonstrates how to get the utmost from Excel, addressing everything from application architectures through worksheet and userform design, charting, debugging, error handling and optimizing performance. Along the way, the authors offer best practices for every type of Excel development, from building add-ins through interacting with XML Web services. effective worksheets, userforms, and other user interface elements*Leveraging Excel's powerful data analysis features *Creating sophisticated custom charts*Handling errors, debugging applications, and optimizing performance*Using class modules and interfaces to create custom objects*Understanding Windows API calls: when to use them, and how to modify them*Adding worksheet functions with C-based XLLs*Programming with databases*Controlling external applications from Excel*Integrating with Visual Basic 6, VB.NET and Visual Studio Tools for Office*Using XML to import and export data and communicate with Web services*Providing help, securing, packaging and distributionCD-ROM INCLUDEDThe accompanying CD-ROM contains the book's sample timesheet application at every stage of construction, with detailed code comments. It also includes many examples of the concepts introduced in each chapter and a collection of the authors' Excel development utilities. (c) Copyright Pearson Education. All rights reserved. Hands-on Gui Application Development in Go by Andrew Williams Free Shipping! New Technologies, Development and Application Ii Free Shipping! Opa Application Development by Li Wenbo (English) Paperback Book Free Shipping!